A Winning Attitude! What does it really mean to have a winning attitude? I discuss the importance of maintaining a positive attitude throughout the pages of this site and yet the topic appears never-ending. I just spent the past five days in a hospital bed fighting a bought with bi-lateral pneumonia. Two nights ago the coughing was so bad I could not sleep and with so much time to just think I noticed the multiple changes in my attitude over the course of a very short amount of time. This particular situation got me thinking about my attitude at that very moment. I asked myself; is this what it feels like to have a winning attitude? Wow, that question really strikes a nerve because I knew the answer and it wasn’t good. I always take pride in my ability to maintain a positive attitude despite any current circumstance. Although I never really stopped in the heat of the moment to see just how positive my attitude really was under such a circumstance. What I came to note is that I really was not maintaining the winning attitude that I pride myself in. Actually, I found myself wallowing in self-pity, one of the most destructive of all human emotions. Self-pity is not an emotion that stands on its own, not by a long-shot. The manifestation of a variety of self-destructive attitudes begins with self-pity and it is one of the most destructive emotional attitudes one can possess. First, there is the backbone of the problem itself which is fear, the almighty destroyer of a winning attitude. Following fear you have self-doubt which comes from the belief that you have no control over your thoughts, feelings and our actions to something as small as the “I can’t” syndrome. I can’t, I can’t, I can’t get ahead in life, I can’t succeed at anything I try, I can’t because I’m a failure. Next, we have the loss of positive expectations. If you expect to fail you will fail, if you expect to lose a fight to an illness you lose! These are not the qualities of a winning attitude! I actually caught myself losing hope. Because I allowed all my fears and doubts, my “I cant’s” and ultimately perceived failures to take hold I soon found myself right back to self-pity. I found this rather amazing because my mind had cycled through all these self-destructive emotions over and over and had I not taken notice of how my attitude was holding out, well there’s no telling just how deep-rooted these attitudes would have become. Oh yeah, there was one other important thing I noticed as well. Not only was my mind harboring such negative attitudes I was doing what I could to back up the negativity. Instead of focusing my mind and efforts on my recovery I was dwelling on all the possible negative outcomes of my situation. The Incredible Benefits of Developing A Winning Attitude! When I say that “Attitude is Everything” I really mean it is everything. Just look around you, everything you see is a direct result of your attitude. Your outer world is a mirror image of your inner world and it’s your attitude that shapes your inner world. All successful people have one thing in common and that is a winning attitude which lives within us all. We all have the ability to achieve any level of success we desire and it all begins with our attitude. The greatest part of this whole scenario is that we all get to choose our attitude as we set out on a new day, every day. It is our attitude that will give back to us precisely what we expect of it. If we choose a positive winning attitude one filled with achievements and success that is precisely what it will return to us. However on the other end of the spectrum if we choose a losing attitude then you can expect to endure many failures and personal letdowns. You see attitude is the one thing that comes close to being everything about success or failure. A winning attitude will bring forth all sorts of favorable opportunities in life that would otherwise be absent with a negative attitude. Although a positive attitude alone will not bring about the success and happiness we all desire and deserve. 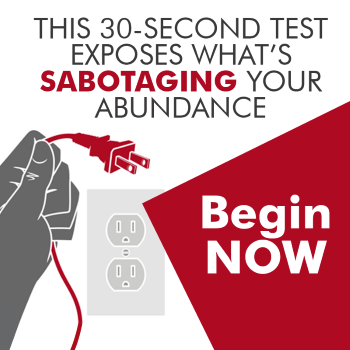 You see everything is energy and without energy, your winning attitude goes stagnant. In order for us to take full advantage of all the opportunities presented to us as a result of our winning attitude, there must be energy, an enthusiasm that will transform our attitude into action. There are certain conditions in life that we all would like to have or achieve, I can describe most with one word, happiness, love, health, achievements, ability, and success. There is one word that controls the outcomes of all the previously mentioned conditions that we would all enjoy. This one word describes a condition that can bring us everything we desire or it can keep us from achieving any one of them. 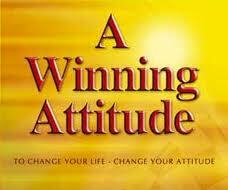 A Winning Attitude Taking Control of Your Future Success! Our attitude controls our entire world. If you have an excellent winning attitude you will enjoy excellent results although if your attitude is poor, well your results in life will be poor. As I said earlier our world, our environment and our circumstances are a reflection of our attitude. You can tell how good your attitude is just by looking around you. Do you have friends that enjoy being around you? Is your work environment stressful and dull or is it productive and positive? How’s your family life? Are your children and spouse excited and happy to see you when you come home or is there a constant feeling of stress and tension in the air? The answer to those questions will tell you how your attitude is and they can help lead you in the right direction to improving your winning attitude. I started out by telling you about my five-day hospital stay which is the 3rd or 4th one this year and we are only starting the second week in February. Some of you might think that the poor attitude I found myself in as being warranted due to my current circumstance but it doesn’t work that way. My circumstance did not cause my poor attitude, I caused it. You see that is one of the greatest aspects of life, we get to choose our own attitude. Now had I chosen to cling to my negative attitude I would have been choosing the consequences as well. Poor attitude poor results! Winning Attitude winning results! Do you think my poor attitude was helping my situation? Of course not! Your attitude affects every area of your life right down to your health and the strength of your immune system. Did I cling to my poor attitude? Heck No! Had I remained in that state of mind the chances are I would still be laying in that hospital bed fighting off the disease in my lungs. Can you see how my attitude became responsible for my environment? A Winning Attitude Will Bring You Good Luck And Fortune! Ability is what you’re capable of doing. Motivation determines what you do. A Winning Attitude determines how well you do it! It is really sad to see so many people living miserable, narrowed, darkened lives. In many cases, you will find that these people take no responsibility for their circumstances and they will moan and groan all the time instead of trying to change things for the better. It is this type of person that wants to constantly dump all their troubles onto anyone who will listen. They don’t have a winning attitude. They will put more energy into complaining about their situation then they will to change it for the better. They act as though the world has singled them out to live a miserable existence full of failures and bad luck. In essence, it is our attitude that will determine if we will be lucky or not. Those with a positive winning attitude who expect to be lucky and expect to have good things happen to them more often than not will enjoy more success and good fortune in their lives. And on the other side of the coin, you have those that go through everyday life with a poor attitude and they expect things to go poorly and they do! The person with the attitude that he cannot do something will seldom do it because he expects to fail, he is predicting his own failure before he ever gives it a try. Conversely, the person with a winning attitude believes that he can do something and in most cases, he can and he does and at the very least he gives himself the confidence to believe in his abilities. We Get From Life What We Tend To Expect of It. We choose where to live, we choose where to work, we choose who we want to spend our lives with and the one condition that will affect all of our choices is our attitude and that too is our choice. Make The Choice This Moment To Begin Living With A Positive Winning Attitude! Once you begin to put your mind and attitude to work for you your entire life will improve! I have personally taken my fair share of risks in life and with each new venture, I had plenty of people telling me not to try it because I would surely fail. Had I listened to them I would not have achieved a fraction of the success I have throughout my life. Those people had losing attitudes, they never got ahead in life because they never gave themselves the chance. Most things that matter in life have some aspect of risk to them if everything was a sure thing it would be a rather boring life. You need to fully intend to win at everything in life because with an attitude of failure you have lost before you even start. You need a winning attitude to achieve or enjoy all the conditions we all desire, those that I mentioned at the beginning of this article, love, happiness, health, ability, achievements, and success. Never forget, all successful people have this one thing in common, and that is a positive Winning Attitude! Great article Howard! Thank you for taking the time to share and to help other people who may be experiencing a hard time in their life. God bless and keep up the good work. Thank you Maryanne! Now that I am back home really plan to get the site going again. Hope you stop back often! Love this article and will refer to it in my next training. I personally believe that a positive attitude gives you that X factor in life. Thanks for the kind words! I am really glad that you enjoy my site and that is has helped you to improve your attitude as that is the first step to improving your life! Stop back often my friend! Great article! This is definitely my favorite blog you have a terrific way of explaining things and it has helped me improve my attitude and I have started writing my goals down and reading them before I go to bed at night. That’s terrific Kyle! If you have the motivation and the desire to improve your attitude you are more than half-way there. Keep it up, my friend!